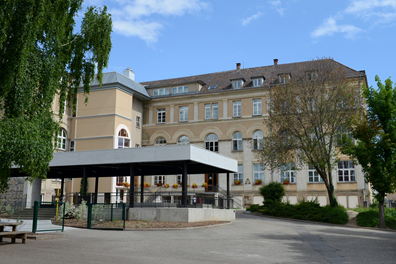 The Institut de l’Assomption is a great private Catholic school. The « Institut de l’Assomption » is situated in Colmar, in Alsace. The address is 21, Avenue Foch. 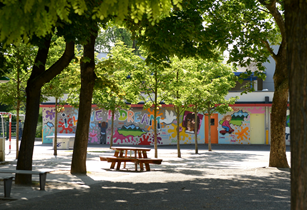 It is composed of a Primary School (pupils from 3 to 11) and a Middle School. 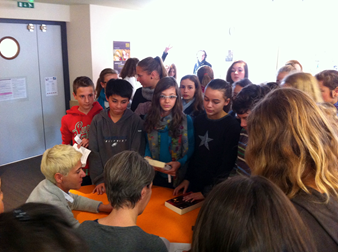 At the Middle School pupils study from age 11 to 15 (4 levels : 6ème to 3ème). We are lucky to have a big playground with basketball nets and two football pitches. We can also play table tennis. There are two buildings, a little one and a big one. There is a gymnasium with a huge climbing wall. There is a big dining room, the canteen, where we can eat lunch every day. There are two meals you can choose from. We receive a little present and a cake for our birthday. We have a nice CDI, some sort of library where we can study and read during our free time. We have specific classrooms dedicated to Modern Foreign Languages, ICT, Technology, Art, Music and Science. The pupils in 4ème and 3ème have school on Wednesday mornings but not the 6ème/5ème. I finish school everyday at five o’clock in the afternoon but at noon on Wednesdays. 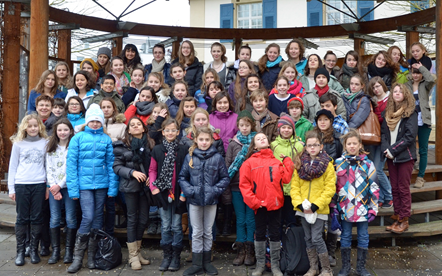 We have a lot of school trips since we are in the bilingual section and thus study German at an advanced level. We have more German lessons than the other pupils. We study History, Geography and PE in German. It is sometimes difficult as our parents do not speak German. This year we spent three weeks in Wolfsburg, Germany in January 2015. We visited Berlin. We saw a STASI prison, watched a Bundesliga Basketball game in Branschwerg. We have a penfriend, who came to our school in February. It was amazing and funny. 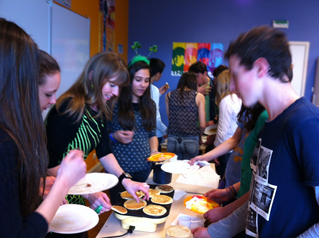 Some of us also study English at an advanced level, in the « European section ». We have more lessons of English. Some pupils in 4ème and 3ème study English at an advanced level. Mrs Rohmer and Mrs Andre like to cherish their students. 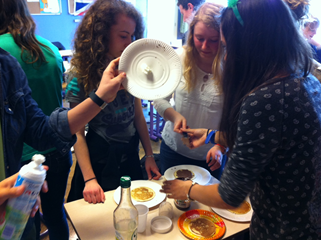 Here is an example, a perfect lunch : pancakes and maple syrup !